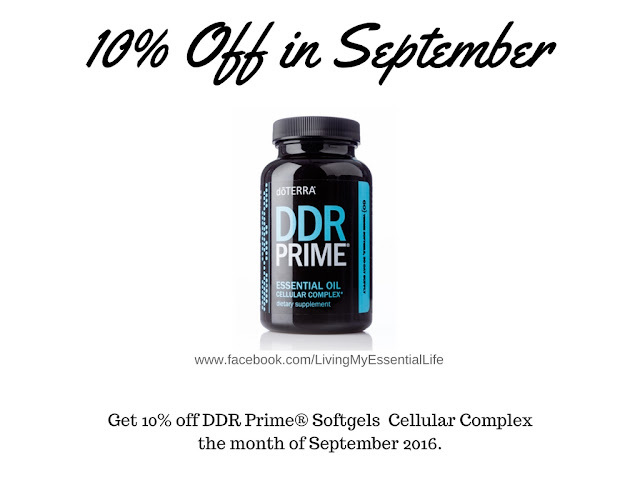 Promo #1: Save 10% on DDR Prime Softgels! DDR Prime is a proprietary blend of CPTG Certified Pure Therapeutic Grade® essential oils that help protect the body against oxidative stress to cellular DNA. * The essential oils in DDR Prime provide antioxidant protection and support a healthy response to cellular stressors. 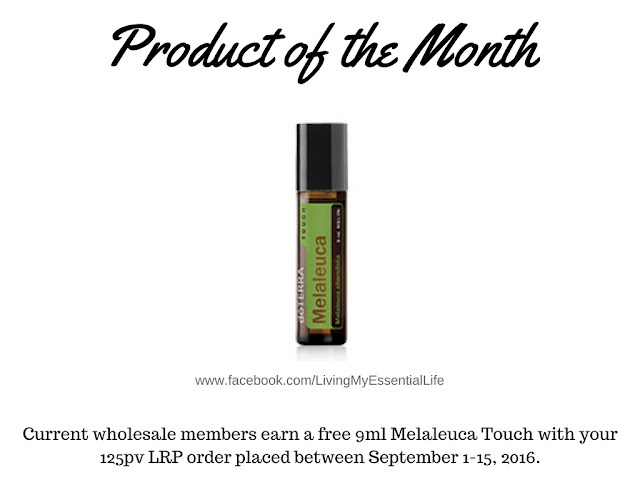 Current wholesale members earn a free 9ml Melaleuca Touch with your 125pv LRP order placed between September 1-15, 2016. The perfect balance of Melaleuca essential oil and Fractionated Coconut Oil has been combined in dōTERRA Touch Melaleuca, making it ideal to use on gentle and sensitive skin. Melaleuca, or Tea Tree oil, is best known for its purifying qualities, which make it useful for cleansing the skin and home surfaces, purifying the air, or promoting healthy immune function. 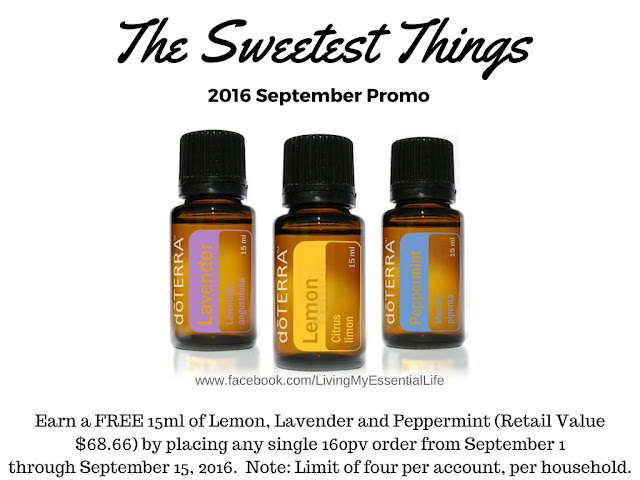 Earn a FREE 15ml of Lemon, Lavender and Peppermint (Retail Value $68.66) by placing any single 160pv order from September 1 through September 15, 2016. Note: Limit of four per account, per household. For more details, click here.